I do love a good bag as you probably know if you are a 'regular' here at needlesandlemons. 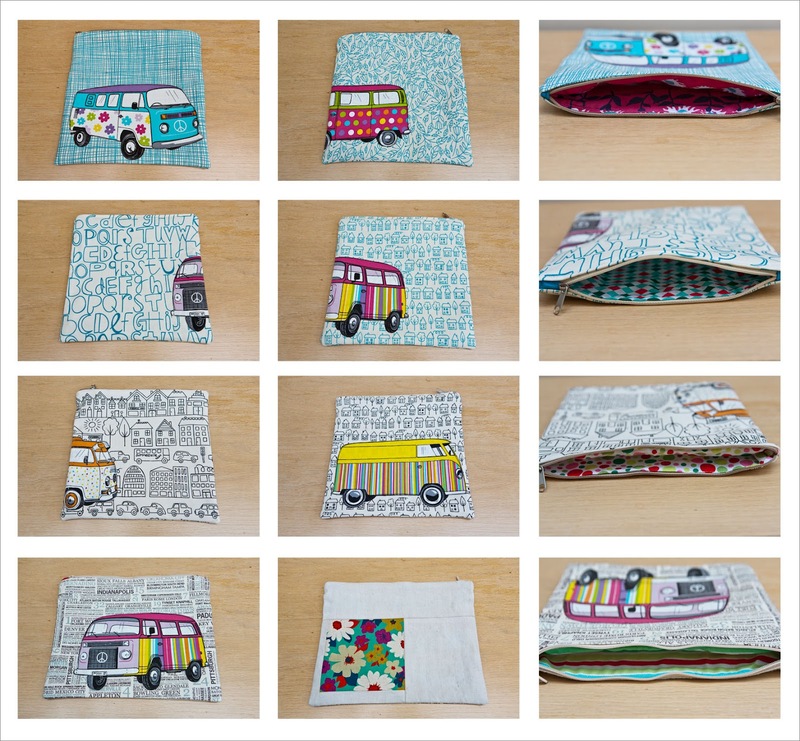 I frequently get the urge to make a bag but lately it has been zipper pouches. I had a few layer cake piece left from my 'Sumemrsville' layer cake and thought the other day they should be put to good use. I also had these 'VW bullis' in my stash for a while. I bought this fabric more than a year ago in Bremen and other than using a little bit of it for a drawstring bag I hadn't really found any use for them (shame on me). Then I saw how Amber makes clever use of Melody Miller's typewriters and suddenly I felt a project coming on. 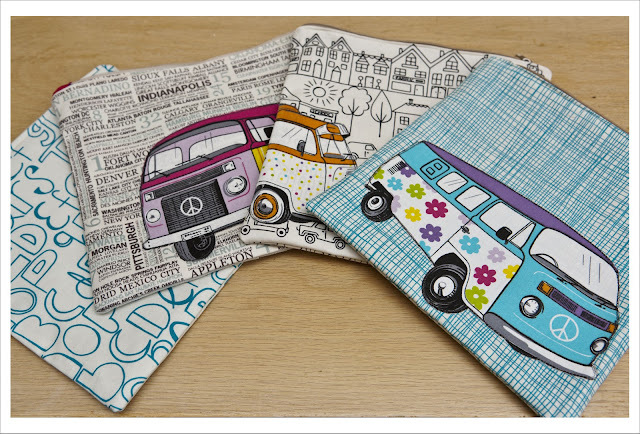 So here are my zipper pouches featuring hippy VW bullies. These are so clever! They look fantastic! They are brilliant, love the contrast of summerville and VW camper. How cute! I have a vintage, custom VW bug that we made into a truck for my grandfather in the early seventies. I just love VW's. Great! There was me hoping they were FQR swapsies!